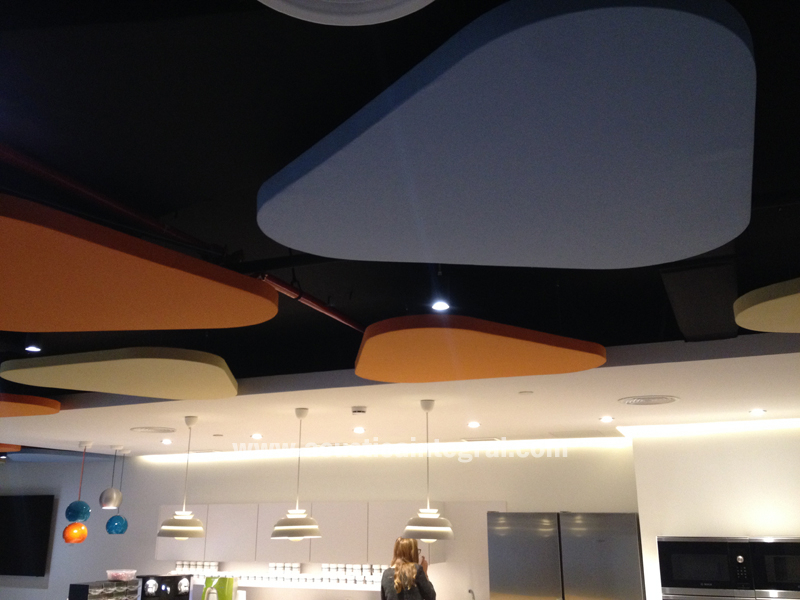 Project: Absorbent treatment in office dining room with triangular-shape acoustic clouds. 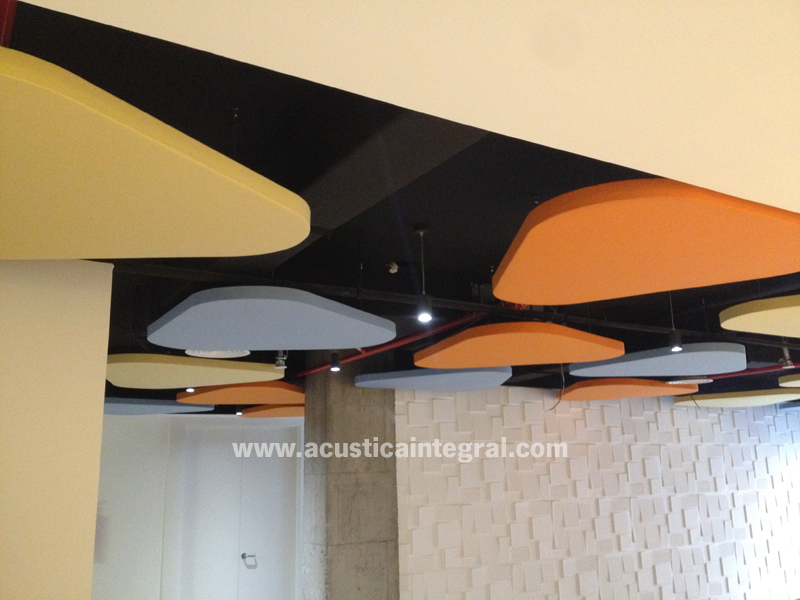 Absorbent material with highly decorative standard Acustiart Shape Triangular. Finish in the standard range of fabrics. 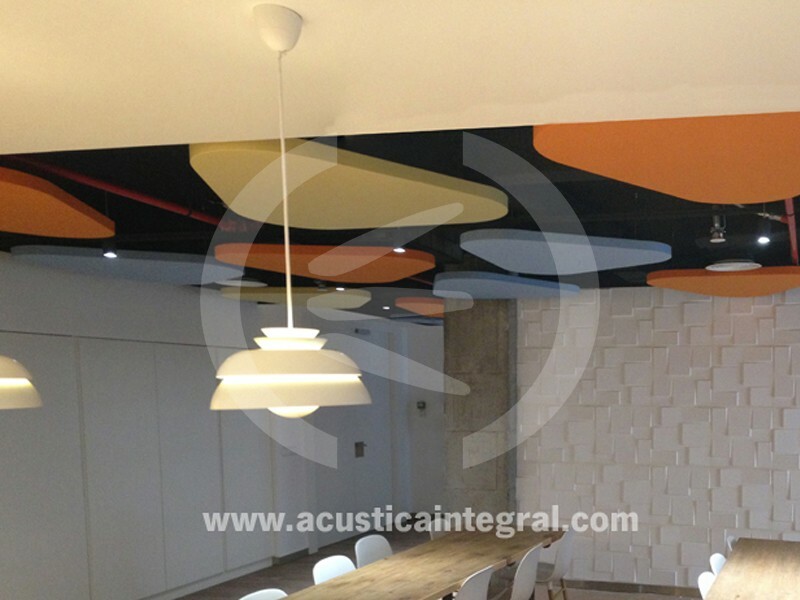 Acústica Integral has conducted the absorbent treatment in a dining room rest area inside some offices, with triangular acoustic clouds. 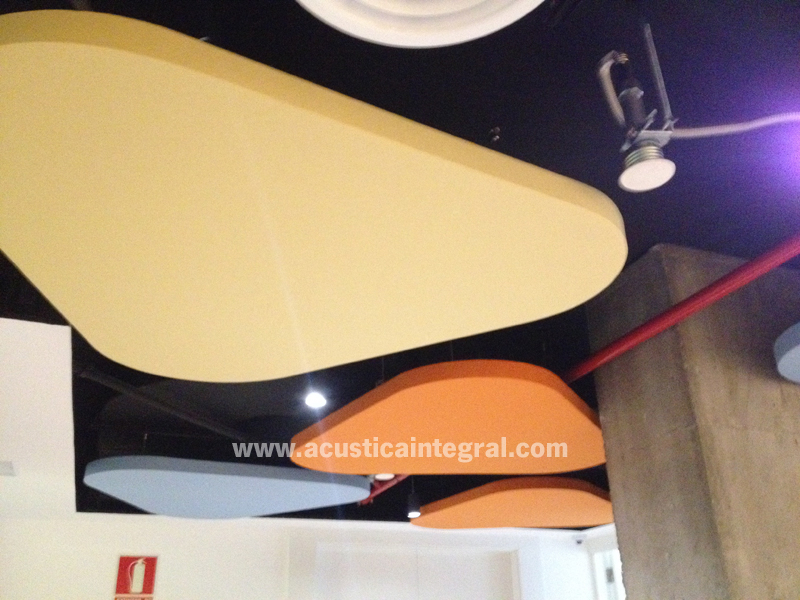 The acoustic treatment was carried out, at the client’s request, adapting the absorbent elements both to the shape and colours and amounts required. 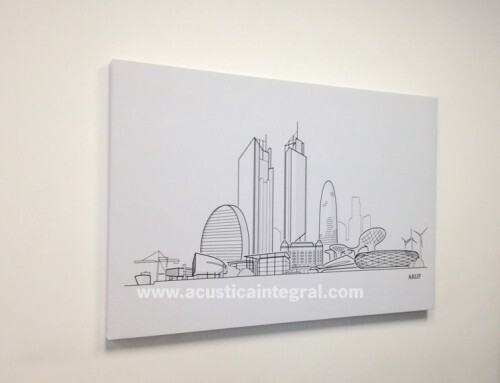 The easy assembly of the triangular Acustiart absorbent elements facilitates the on-site installation of the absorbent elements. 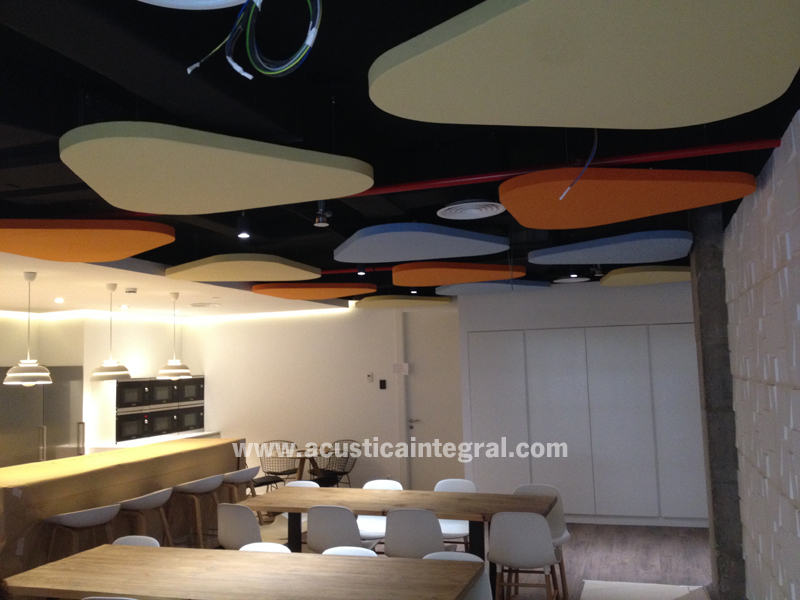 Their installation by means of FixingKit system allows them to adapt to all the site difficulties without limitations with regard to the position, adaptation to available spaces, positioning of the acoustic cloud, height adjustments, inclinations, etc. 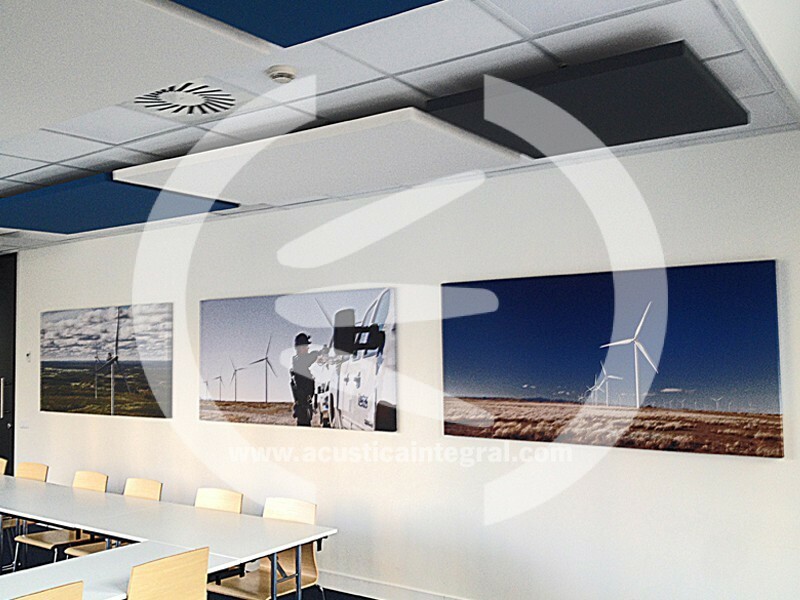 The wide range of sizes, colours and shapes of the Acustiart systems enables the possibility of providing creative designs without limiting the aesthetics, as it is possible to install any format required by the client from the wide range of options available in the catalogue of acoustic clouds by Acústica Integral. 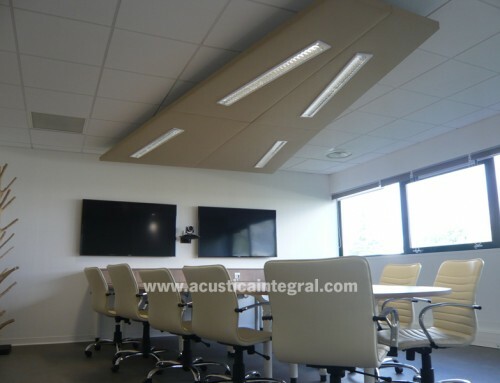 The design in this installation is the result of the client’s specific needs, in which the design made by the architect and the design team who manage the project was respected at all times. 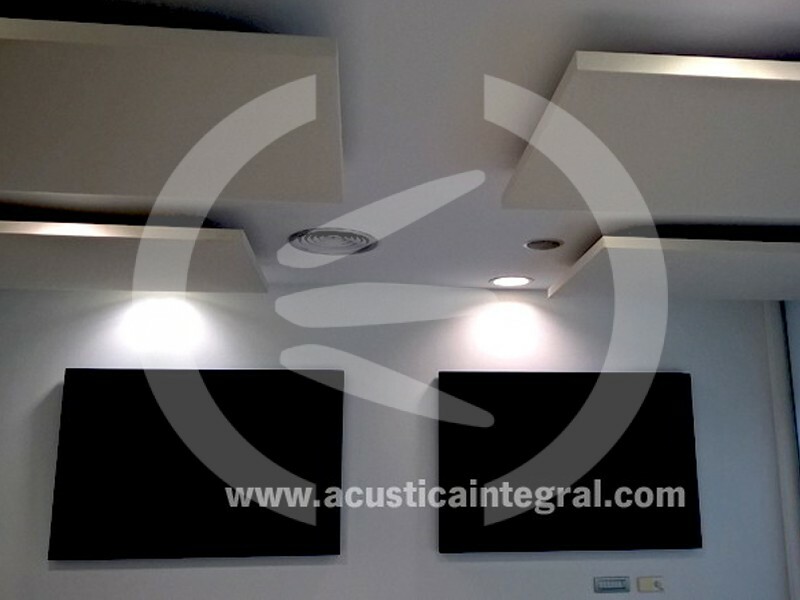 Acústica Integral has the capacity of adapting the designs to the requirements of its clients, adapting the acoustic solutions to the real needs of the client, for an adequate installation. 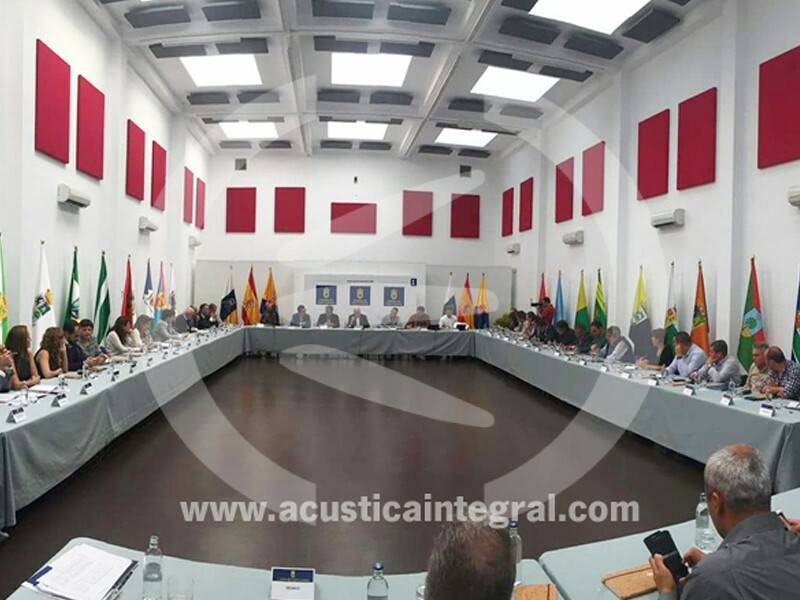 The purpose of the absorbent treatment is to control the reverberation time of the room, as well as the degree of speech intelligibility and the background noise. 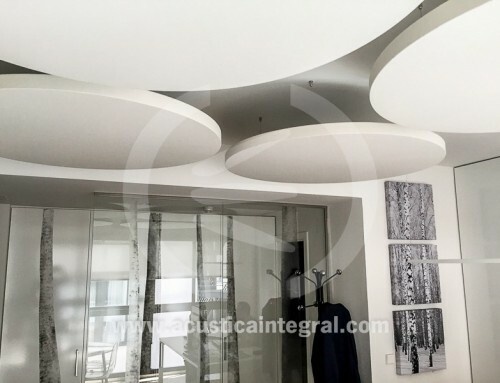 The installation of triangular acoustic clouds allows treating a surface sufficiently large enough for the acoustic parameters indicated to be within the appropriate values to maintain conversations at a low volume with a high degree of intelligibility. 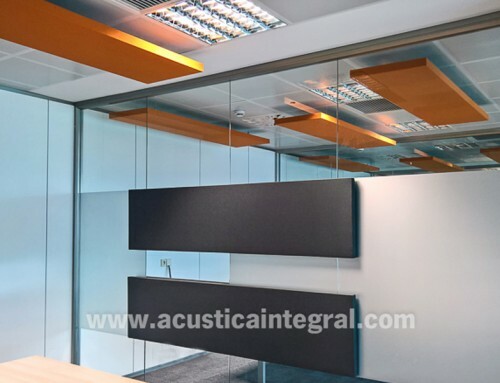 All the acoustic refurbishment projects are aimed at achieving the recommended values for the type of room and its volume, obtaining a balance between the appropriate values and the optimum values. 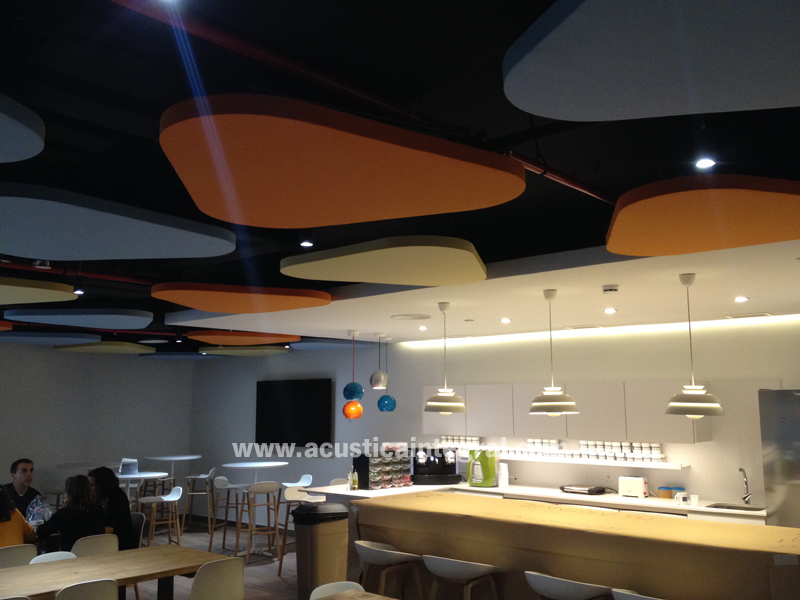 The variety of shapes of the Acustiart systems allows adapting the absorbent objects to the spaces, and to install them without these being strange elements within the overall decoration of the room that is being acoustically treated. 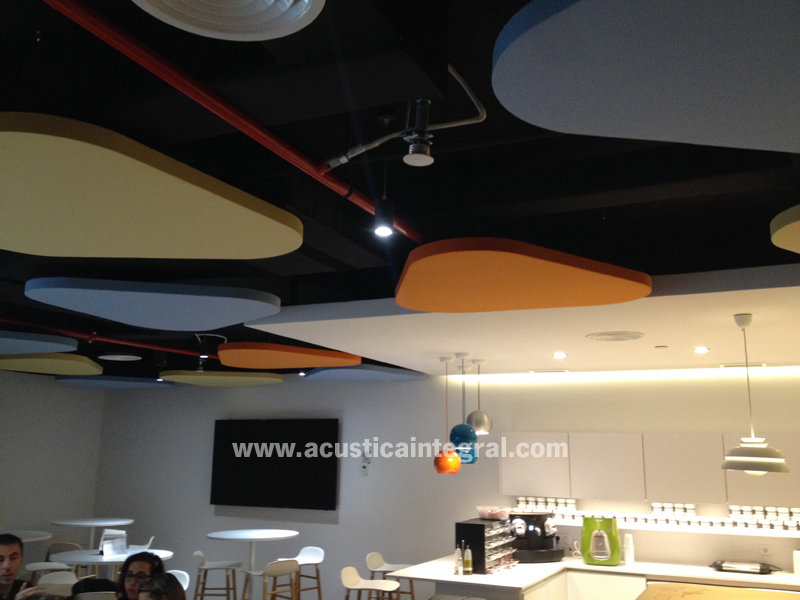 December 15th, 2016 | Comments Off on Acoustic treatment in meeting room.